How many of you have tried to shave off your head or your child's head with the hope of getting back thicker hair? In our country, many people offer their hair at temples due to religious beliefs or to fulfil vows. But there are many who shave their heads thinking that the hair will grow back thicker. Sometimes, innocent children are victims of this belief. The thickenss and length of hair on your body is mostly determined by genetics and hormones. To some extent, nutrition also plays a role in hair health. The size and shape of your hair follicles which allow your hair to be thick or thin or medium are inherited. 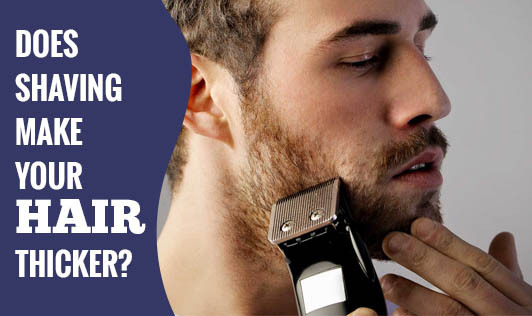 Shaving does not change the follicles, and therefore cannot make the hair grow back thicker! Whatever type of hair you have, carry it confidently instead of trying out various methods to change it.